World-class industrial wastewater training delivered by leading industry experts. WTS 0070 “Industrial Wastewater” is an intensive one day wastewater training course developed by the industrial and process water and waste water specialists at WTS. The course is designed for wastewater engineers, plant operators, environmental process engineers, maintenance and engineering contractors, and those with responsibility for the operation and management of industrial waste water treatment systems. WTS 0070 provides a review of common pollutants found in wastewater, the regulatory environment for the treatment and discharge of waste waters, discharge tariffs and how they are calculated. It also looks at application areas including DAF, settlement, activated sludge and sludge minimisation. The course reviews biological systems and typical liquid – solid separation techniques including clarification using coagulation and flocculation. 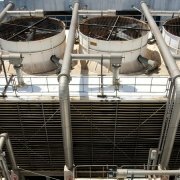 Candidates taking this course will also gain an understanding of the issues that affect the performance of industrial wastewater systems including foaming, high effluent total suspended solids, high effluent BOD or COD, loss of nitrification, low effluent pH, specific organic breakthrough, algae, and other issues and how to deal with them cost effectively. Additionally, the course also covers a number of practical examples, including how to conduct basic fault-finding investigations and prepare cost effective solutions to common problems affecting industrial and process wastewater treatment systems. Who would Benefit from our Industrial Wastewater Training Course? Typical candidates benefiting from WTS 0070 will be wastewater treatment engineers, plant operators, environmental process engineers, maintenance and engineering contractors, and those with responsibility for the operation and management of industrial waste water treatment systems. What will you Learn about the Treatment of Wastewater on WTS 0070? WTS 0070 will give candidates a basic understanding of the operation of industrial wastewater treatment systems and the regulatory framework for treatment and discharge consents. Candidates will gain a thorough understanding of the problems associated with the treatment of industrial and process derived waste waters and will develop the skills to design, implement and manage a cost effective wastewater treatment programme. Candidates will develop the skills to perform basic waste water analysis tests and learn how to interpret the results so as to effectively monitor, control and manage the treatment of wastewater and discharge parameters. Candidates will also learn how to calculate wastewater discharge tariffs. Additionally, candidates will develop the skills to conduct basic fault-finding and prepare cost effective solutions to common problems affecting such wastewater treatment systems. WTS 0070 “Industrial Waste Water Treatment” is an intensive course designed for wastewater treatment engineers, plant operators, environmental process engineers, maintenance and engineering contractors, and those with responsibility for the operation and management of industrial wastewater treatment systems. Familiarity with liquid, solid separation processes and experience of waste water treatment plant operation would also be of benefit. On successful completion candidates will receive a certificate of attainment issued by Water Treatment Services for the course “Industrial Wastewater Treatment” – WTS 0070. How Long is the Course WTS 0070? If you are interested in this industrial wastewater treatment training course or any of our other industrial water treatment courses and would like to receive further details, including dates and venues please contact us. Contact us now for more information about WTS 0070 or for your FREE, no obligation quote.